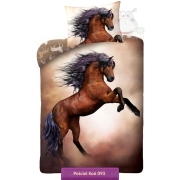 Bedding with horses is a proposition for all horse lovers and the theme of horses of all colors. 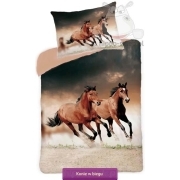 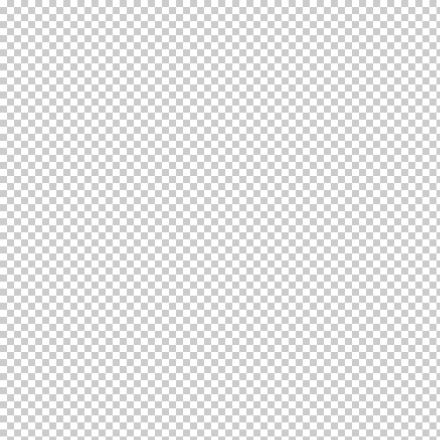 Unusual set of bed sheets with rushing horse stables with chestnut ointment with characteristic beautiful mare with white socks and asterisk in front. 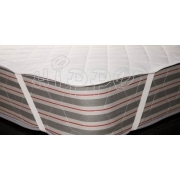 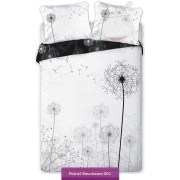 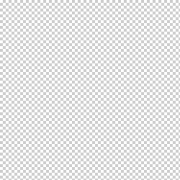 Bedding sets with horses with duvet cover size 140x200 cm or 135x200 cm and a pillowcase 70x80 cm, made from high quality, 100% cotton, certified according to Oeko-Tex Standard 100 – Confidence in textiles. 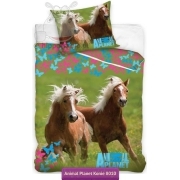 Bedding with horses is a fantastic idea for a gift for all who love horses and everything associated with them.